It's almost here. The tents and sleeping bags are packed, we have approximately 3,000 baby wipes (each) ready to go and we're already salivating at the thought of a Pieminister. It could only be Electric Picnic. 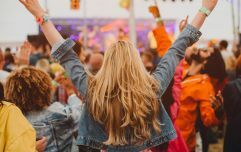 From Friday, September 4th to Sunday September 6th revellers across the country will flock in their droves to Stradbally for Ireland's favourite annual music, arts and culture celebration. Ahead of kick-off, we're offering a heads up on some of the acts you really should see over the weekend. First up, the International acts. While everyone will be aware of headliners like Florence, Blur and Sam Smith, we're delving a little bit deeper into the lineup to find some semi-hidden gems that you should make it your business to happen across. You can thank us later. See our pick of the Irish acts at EP here. 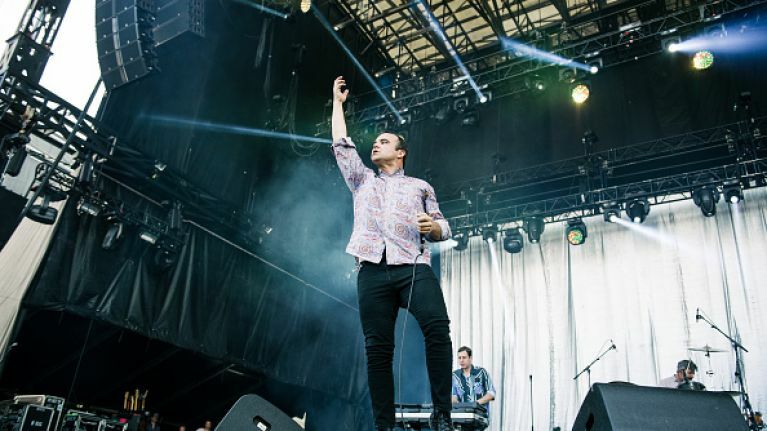 Watching Future Islands front man Samuel T. Herring is like watching a gif in real life - Non stop and you can’t take your eyes off it. When he’s not dancing like an uncle at an Irish wedding he belts out one of the most honest voices you’ll hear at the picnic. And the tunes are good. Most people will know Seasons from the David Letterman video that launched their global careers but hang around and you could fall in love with some of their more soulful numbers. In 2009 they played to 120 people upstairs in Whelans. Fast forward past a couple of sold out dates in Vicar St and they hit the Main Stage at 5:15pm on Saturday. Wow. If you know Shamir, you’ve already locked this one in. If you don’t, it could be the most fun you’ll have at an act you don’t know over the weekend. Out magazine interviewed this ’saucy Las Vegas native’ who identified as queer because “I don’t identify as gay because I don’t identify as male or female.” What was far more important in this article however was Shamir’s philosophy for life: “If people relate to the lyrics, I feel that, but I also want to dance and have them dance. That’s such a beautiful thing. That’s how the world should work.” Should be a fun gig then. This all girl trio first came to our ears on The Sunday Sessions last year and we instantly fell in love with their confidence, their blended harmonies and their ability to make folk sound ultra-modern by just being themselves. And they’re lovely. The timing of their gig is perfect also - they take to Other Voices stage at 9:00pm on Saturday night with a ’Special Guest’ pencilled in for 10:30pm. When you see the kinds of acts that played under the ‘Other Voices’ banner down the years, odds are it’s another act worth waiting for. His name sounds Irish, his voice sounds English and he’s best known for a song called Brazil. Mostly though, he’s just 16. Yep. 16. But don’t expect him to be fazed as he’s already played Glastonbury this summer and seems well on the way to stardom. This could be a good chance to catch an act before they get proper famous. A bit like a chirpy Jake Bugg, Declan claims to be inspired by the Nolan Sisters, which is fine by us. He’s a dote. You kind of want to knit him a hat. 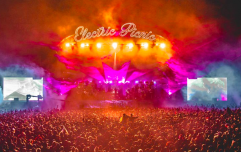 Electric Picnic is a seven minute drive from the home of the 2015 National Ploughing Championships. We’re not sure id dancer turned diva FKA Twigs could be out standing in that field, but she’ll be right at home in this one. You won’t be able to help your self craning your neck to see if Robert Pattinson is looking on for the wings. Here’s a tip, turn around and have a look at the sound stage. That’s where all the cool celebs really like to hang out. She’s been an actress, a model, a producer and a singer and now Grace Jones is coming to Laois. When you see her strike a pose on Friday, remember she qualifies for a free bus pass - this former bond girl is 67! She was fierce before fierce was a thing and developed her stage craft at Studio 54 in the good old days. This is the one rider that festival organisers will need to get right because Grace Jones’ band say she doesn’t go on stage unless there’s Cristal, oysters and sushi in the dressing room. Electric Picnic veterans might remember her 2008 visit but the 2015 pit should expect the unexpected if this video is anything to go by.